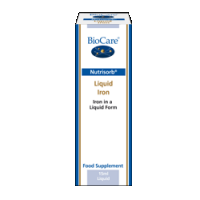 Iron helps to make red blood cells, which carry oxygen around the body. A lack of iron can lead to iron deficiency anaemia. Although liver is a good source of iron, don't eat it if you are pregnant. This is because it is also rich in vitamin A which, in large amounts, can harm your unborn baby. The amount of iron you need is: 8.7mg a day for men 14.8mg a day for women. Depending upon your diet, you might be able to get all the iron you need from food but many of us have poor diets so may not. 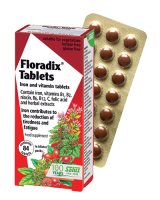 Women who lose a lot of blood during their monthly period (heavy periods) are at higher risk of iron deficiency anaemia and may need to take iron supplements. 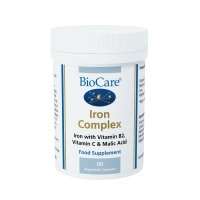 BioCare Iron Complex. 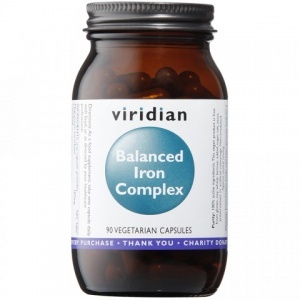 An iron health supplement with malic acid & vitaminc C & B2. 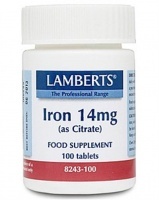 Optimum iron absorption for people sensitive to iron supplements. 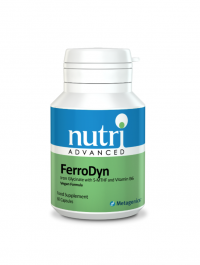 Contain iron, vitamins B1, B2, niacin, B6, B12, C, folic acid and herbal extracts. 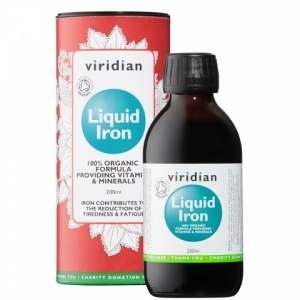 Higher Nature True Food Easy Iron - for healthy red blood cells, energy & immune function. Menstruating women may need extra iron. Comfortable absorption. 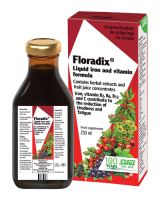 Essential for the healthy haemoglobin and red blood cells.